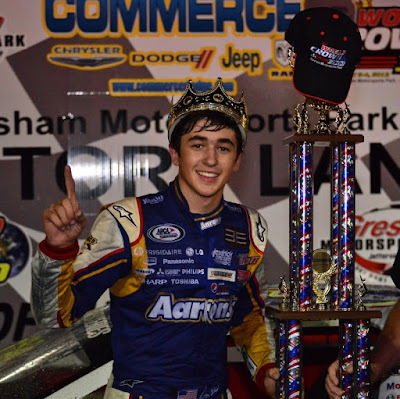 Chase Elliott became the youngest winner ever of the Winchester 400, a super late model race that has a previous winners list that reads like a Who’s Who of American stock car racing, including Bob Senneker, Rusty Wallace, Mark Martin, Mike Eddie, Butch Miller and Kyle Busch. Chase won one of the most prestigious short track races in the country at the 44th Annual Snowball Derby super late model race in Pensacola, Fla. 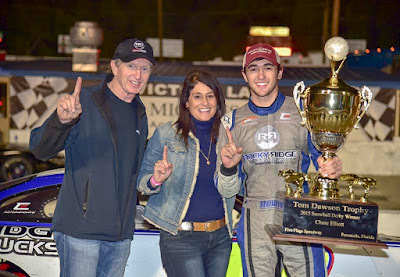 The Snowball Derby is a 300-lap super late model stock car automobile race held annually at the half-mile Five Flags Speedway in Pensacola. At age 15, Chase won his first NASCAR K&N Pro Series race of his career after taking the lead on lap 145 at Iowa Speedway. He stayed out front over the last five laps of the race and survived a green-white-checkered flag finish that extended the race to 154 laps. 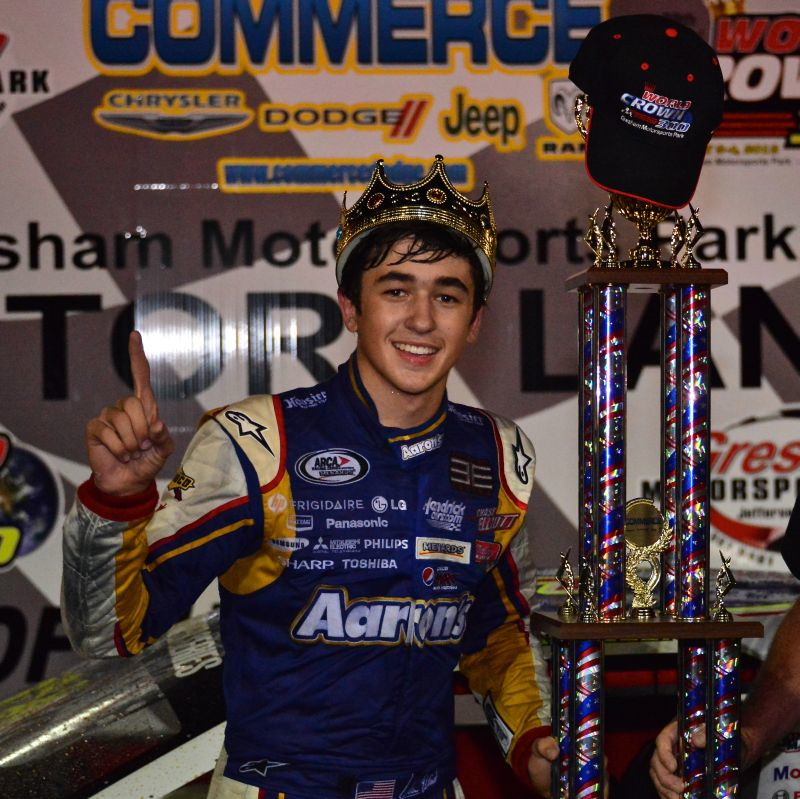 Chase Elliott recorded his third major super late model victory in the 29th annual World Crown 300 super late model race at Gresham Motorsports in Georgia. 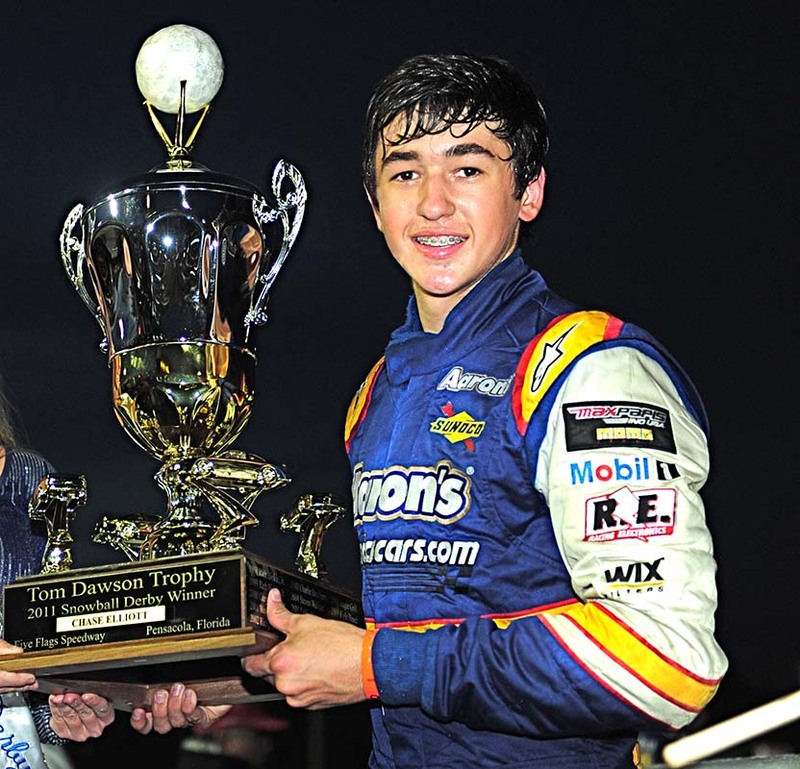 In front of friends and family at his local home track, the 16-year-old driver dominated all night in his No. 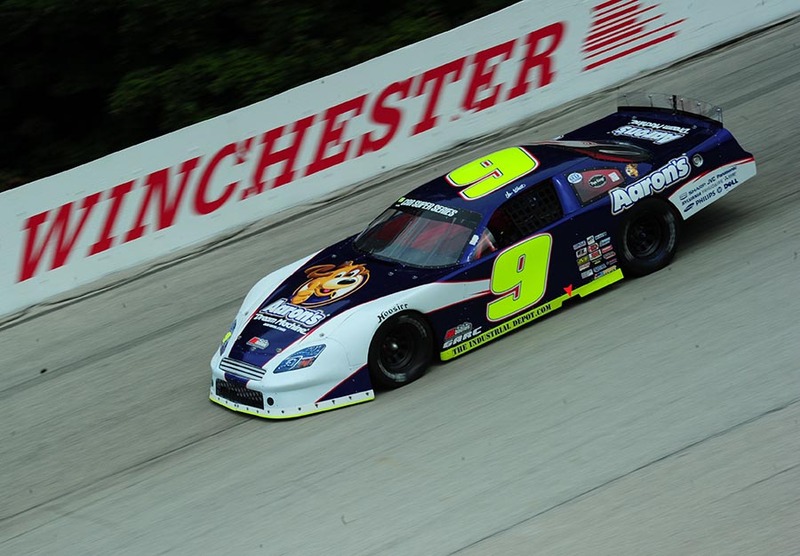 9 Aaron’s Dream Machine/Hendrickcars.com Chevrolet and won. 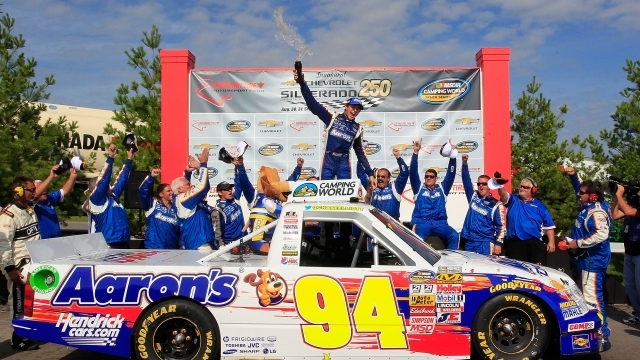 In a dramatic finish at Canadian Tire Motorsport Park’s road course, 15-year-old Chase crossed the finish line to win his first NASCAR Camping World Truck Series win of his stock car career. 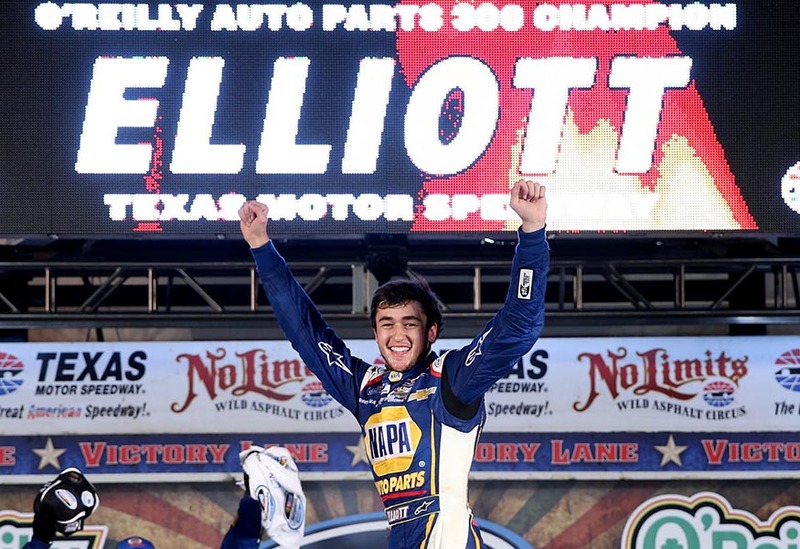 With the win in his sixth career start, Elliott became the youngest winner in series history. 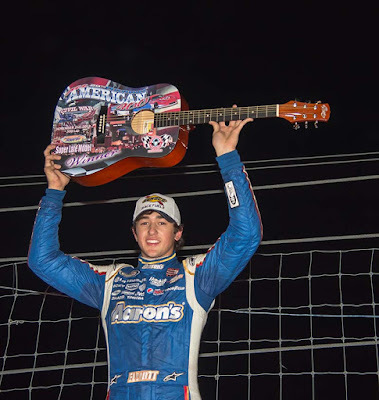 At Fairgrounds Speedway in Nashville, Tenn., Chase Elliott won the 300-lap Southern Super Series All American 400 to complete the career “Grand Slam” sweep of four of Super Late Model racing’s most prestigious events, adding to his Snowball Derby, Winchester 400 and World Crown 300 victories. At Texas Motor Speedway, Chase beat an all-star cast of Sprint Cup drivers to win his first-ever NASCAR Nationwide Series race at just 18 years of age. Beating the likes of Kyle Busch, Kevin Harvick, Dale Earnhardt Jr., Matt Kenseth and Kyle Larson. Chase followed up his first career NASCAR Nationwide Series win with his first back-to-back win the following race weekend at Darlington Raceway. 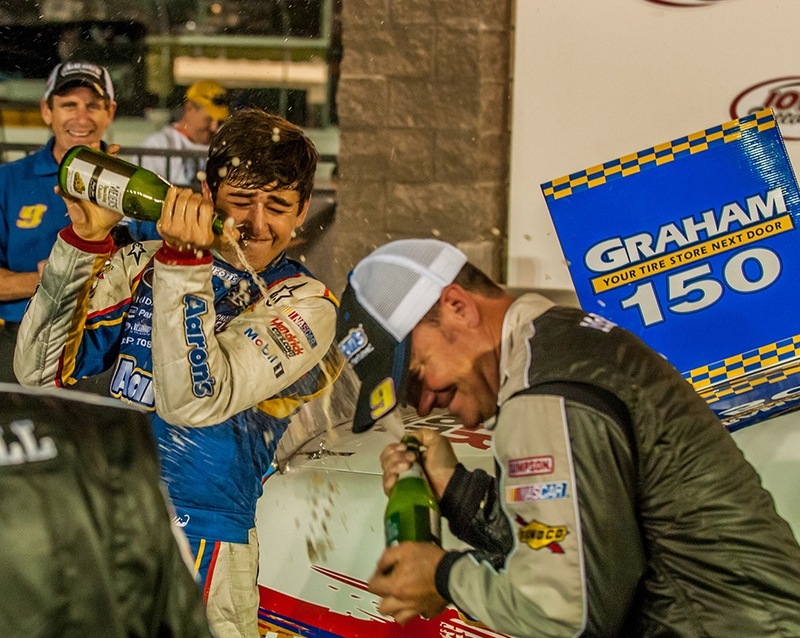 Chase started sixth with three laps to go and executed a last-lap pass of Elliott Sadler to win the VFW Sport Clips Help A Hero 200, thus, becoming the youngest driver to win at Darlington Raceway since it opened in 1950. A week out from the end of the NASCAR Nationwide Series season at Phoenix Raceway, Chase became the youngest champion in NASCAR national series history. In doing so, Chase became the first rookie to wear the Nationwide Series crown since the circuit’s infancy. 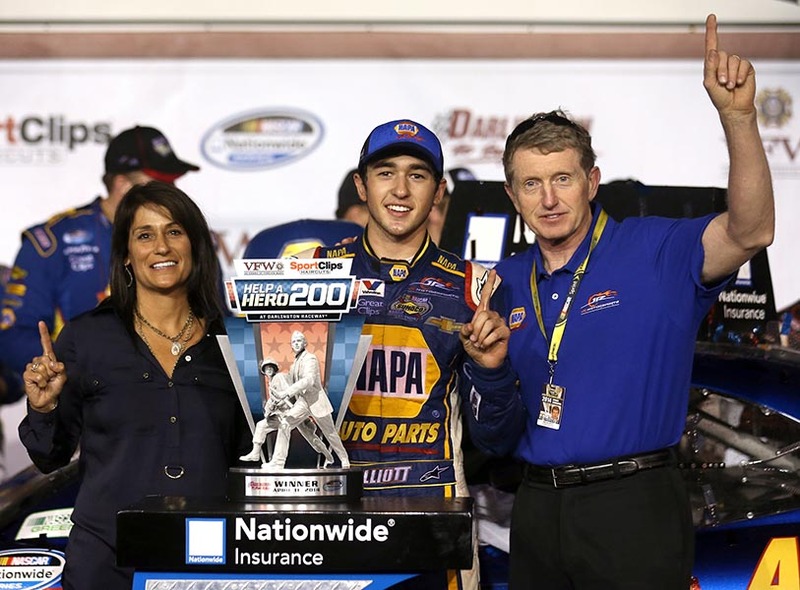 And he also followed his father’s footsteps to become part of just the fifth father-son duo to claim a NASCAR national series title. 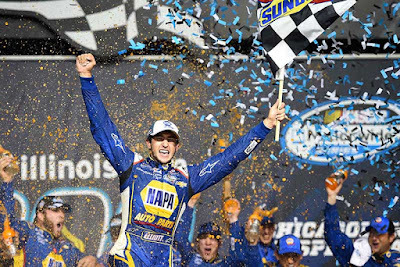 At age 19, Chase made his premier series debut for Hendrick Motorsports at Martinsville Speedway aboard the #25 NAPA Auto Parts Chevrolet. Chase started 27th and finished 38th. “This is a different ballgame,” Chase said afterwards. “These guys are here in the Sprint Cup Series for a reason, and I’ve got some work to do.” Despite the self-critique, Chase made gains as the day improved after being involved in multiple early incidents. Chase became a two-time winner of one of the most prestigious short track races in the country with his win at the 48th Annual Snowball Derby in Pensacola, Fla. in December 2015. 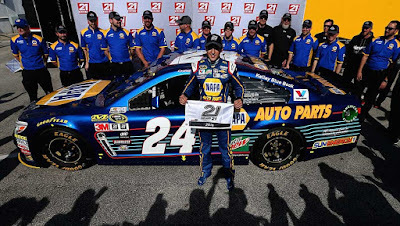 In his debut aboard the #24 car vacated by the retiring Jeff Gordon, Chase won the pole for his first-ever Daytona 500 with a top speed of 196.314 mph. Starting at the front of the grid, Chase’s day the next Sunday came to an early conclusion on lap 20 when he was involved in a multi-car incident. Chase would later return to the track to finish 37th, running 160 of 200 laps. 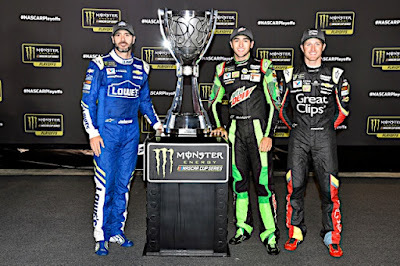 In a clutch performance at Richmond International Raceway, Chase clinched his berth in the 2016 Chase for the Sprint Cup, becoming only the third-ever rookie to make the playoff’s field. 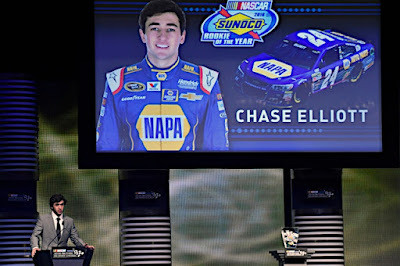 Chase did so by finishing the regular season in placed tenth in the driver points standings – a culmination of 26 points-paying events in which he earned an impressive 13 top-10 finishes and five top-five finishes. Chase Elliott was named the 2016 Sunoco Rookie of the Year in the Sprint Cup Series after finishing the season 10th in the driver standings, recording two poles (Daytona 500, Talladega I), 10 top-5’s and 17 top-10’s. 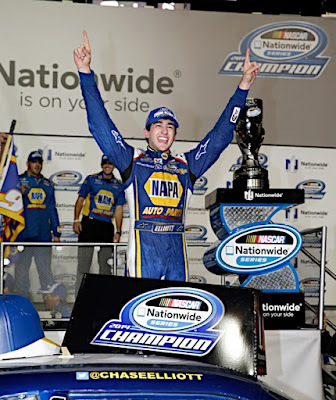 He led 358 laps and became the third rookie to ever qualify for the Chase for the Sprint Cup playoffs. Chase Elliott claimed his second consecutive Daytona 500 pole with a 46.663 sec. 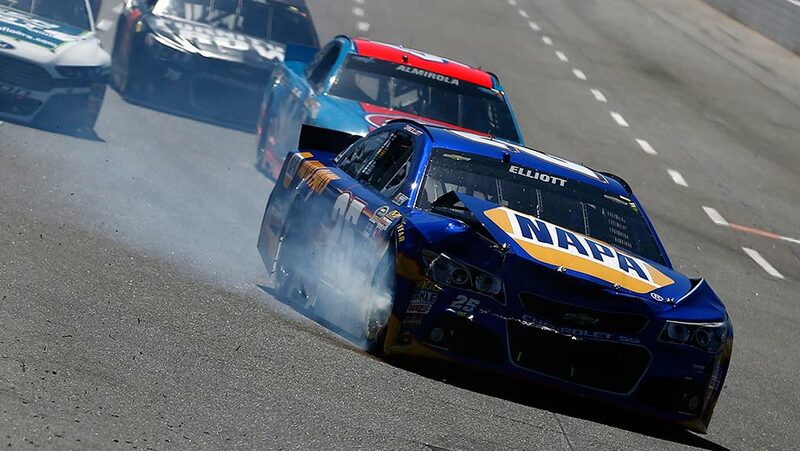 split to narrowly outpace his Hendrick Motorsports teammate Dale Earnhardt Jr. (46.665 sec.) on Feb. 19, 2017 at Daytona International Speedway. 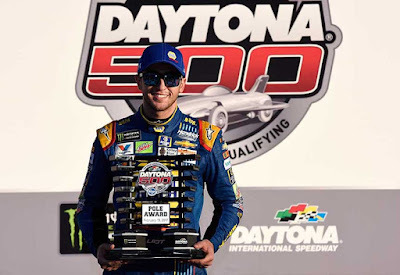 Chase became the first driver to win back-to-back Daytona 500 poles since Ken Schrader took three straight from 1988 to 1990. 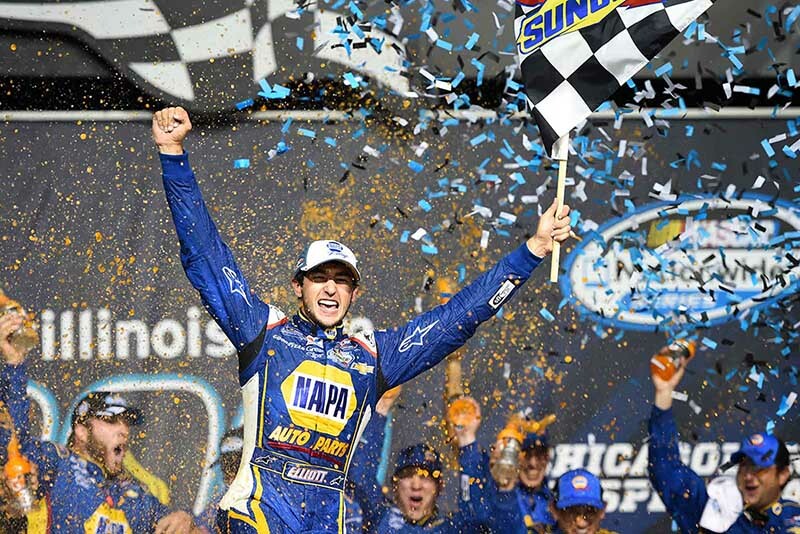 At Richmond, Chase clinched his berth in a second-consecutive NASCAR Cup Series Playoffs. Though he entered the postseason without a win, he entered the playoffs seeded as the No. 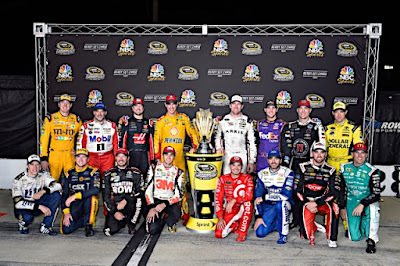 10 driver thanks to six playoff points earned via two stage wins. Through Richmond, he earned a 14 top-10 finishes and six top-five finishes, an improvement from his rookie season the year before.